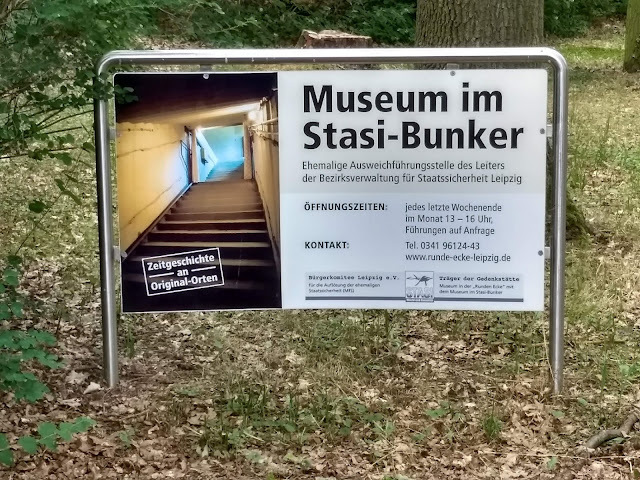 While on my way to a conference, I wanted to do a small detour to visit a bunker that I had read about. 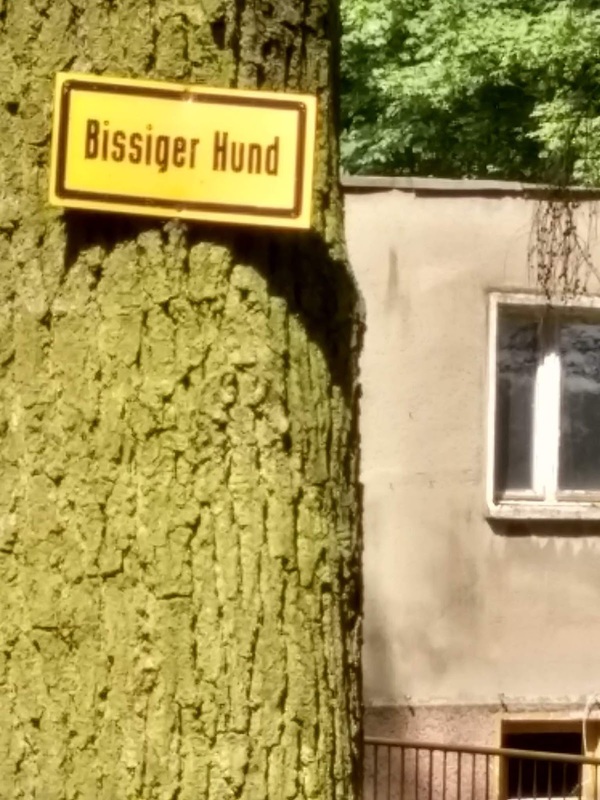 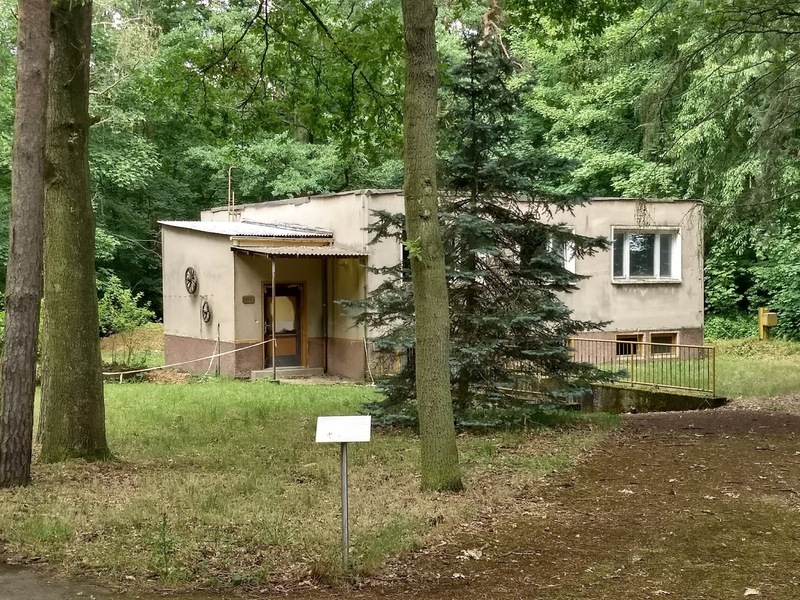 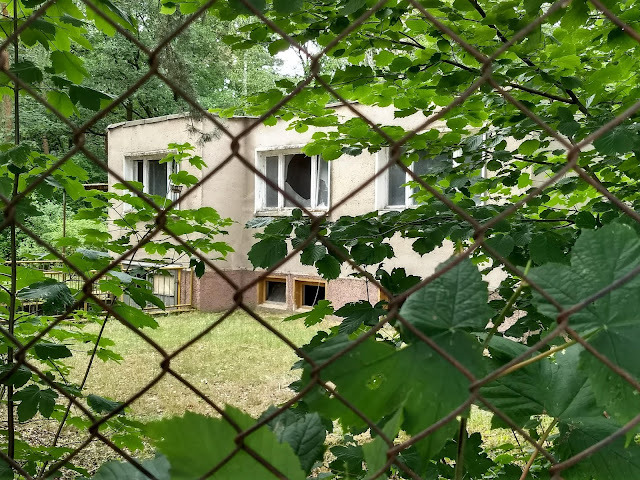 A Stasi bunker. I did not manage to enter the bunker, however. 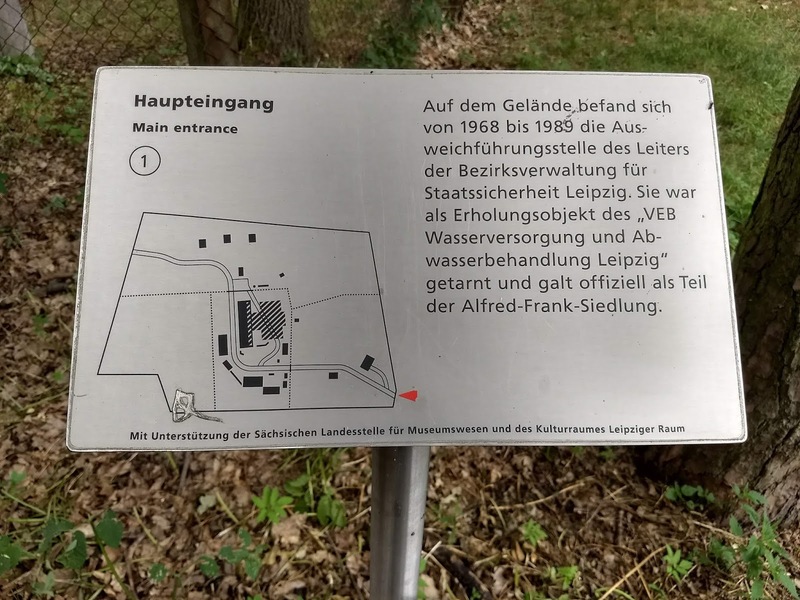 The signs were only in German, but I think they indicated that the place is only open on every second weekend. Oh well. Does look well hidden but quite creepy. It resides within an area of summer houses in Machern, Germany. 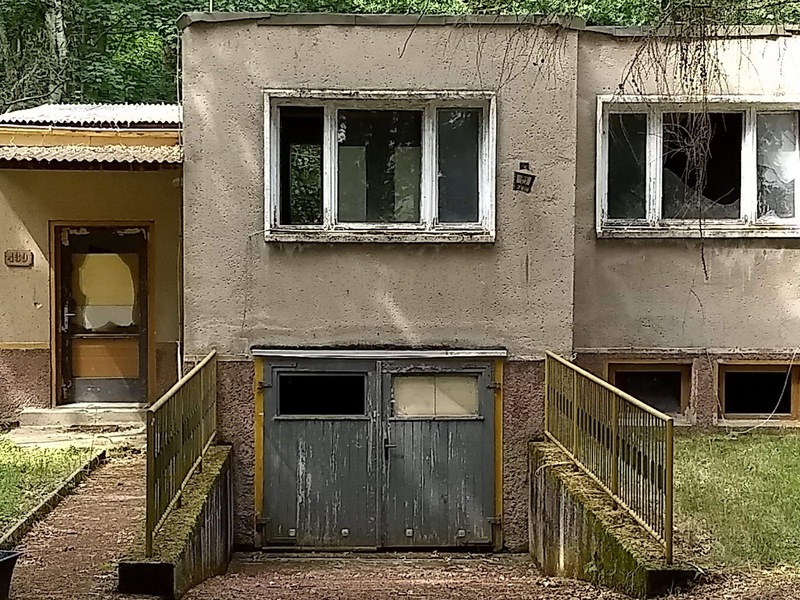 The "garage" ramp onto this regular-house-looking facility leads to further stairs, and into a bunker where 120 people worked daily, and which could have housed the government in case of an emergency.